Please click on the photos to visit each ministry's website, contact, and visit them in your area. More ministries will be add in the near future. Elder Robert and First Lady Gloria Currie are the Founders/Pastors of Christ Chapel Divine Holy Church, a Holy, Bible-based Church in North Carolina. Elder Currie is a Bible teacher and preaches sound doctrine, and has a passion for souls and wants to see people saved, delivered and healed. They both have a desire to help believers discover & fulfill their individual destinies, to recognize and defeat the enemy. He has a strong passion for a healing and deliverance revival! He is married to Minister Gloria, who loves the Lord and she's a loving and devoted wife, they both are currently residing in Raleigh, N.C.
Elder Victor is our organization's Second Administrative and Elder Barbara Goddard is our organization's Secretary. 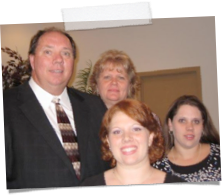 They started their ministry over twenty years ago helping the homeless and their children. They provide them shelter in their home until they located a place for them to stay in local shelters in the Orlando area. Additionally, they mentor them and their children naturally and spiritually. 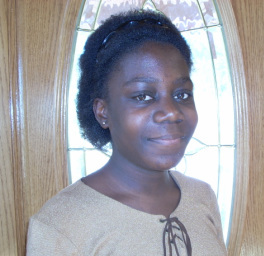 Minister in Training, Levia Gee is from Africa and she will be developing our Mission to Africa Program. This young lady have a vision of one day returning to her home country and developing enrichment programs that will improve her township. 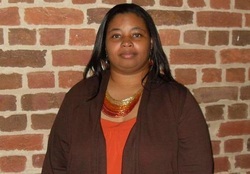 Levia has a noble and exciting vision; please assist us in encouraging and supporting her endeavors. More information will be published in the near future. Jeffrey Polson a Pentecostal Minister and a believer of the Bible, prayers, faith, healing and salvation through Jesus Christ. The Polson's Ministries slogan is "Because we Care". Jeffrey also serves as a Chaplain at the local Hospital.